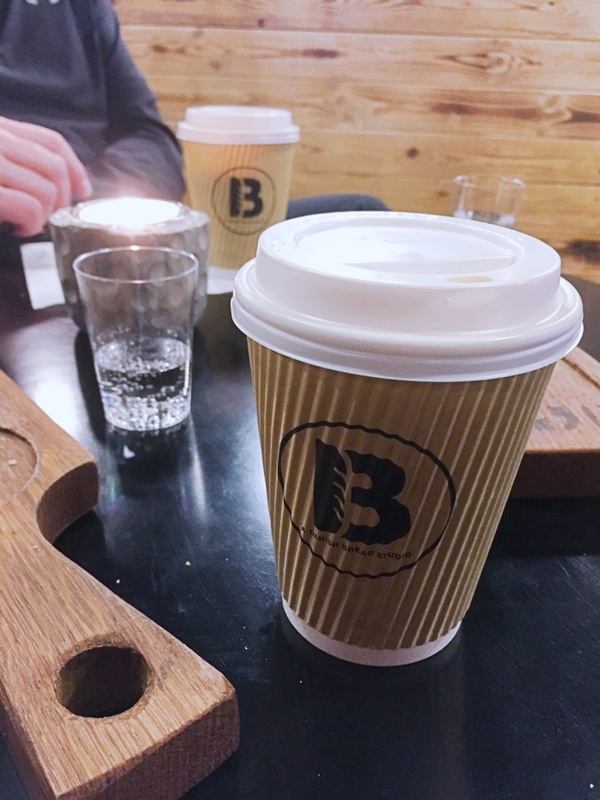 Recently visited BRØD Danish Bread Studio here in Odense and it's definitely the place to grab a coffee or chai latte and a cake or a bun. My parents came over to visit a few weeks ago and we went for a walk into the city and stumbled upon this café, that just looked extremely cozy from the outside looking in. 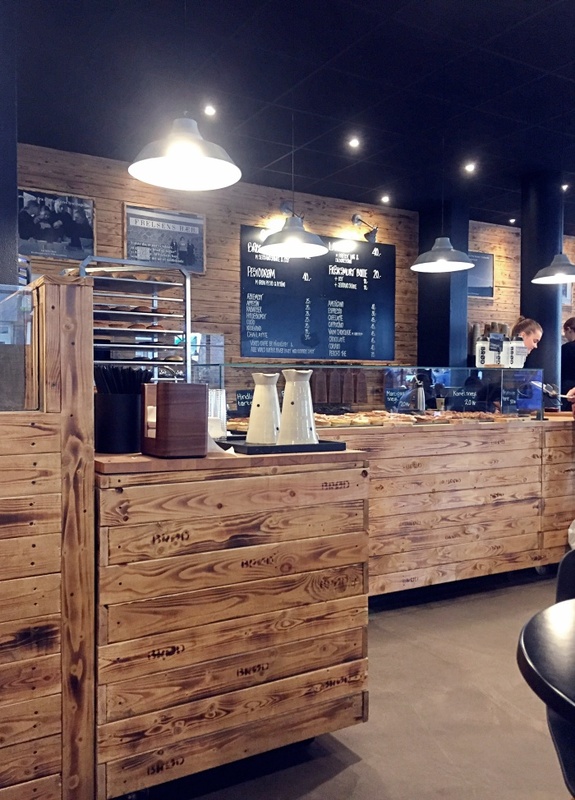 As you can see from the photos, they have this cozy, scandinavian style, filled with wood elements, neutral tones, leather seating areas and a scent of coffee and freshly baked goods. I ordered a chai latte, perfect when you're in a christmassy mood with a carrot bun on the side. My mom and dad both ordered a cappuccino and my mom, a bun with cheese on top and my dad, a whole wheat bun. After that we shared a cinnamon roll and our stomachs were full. 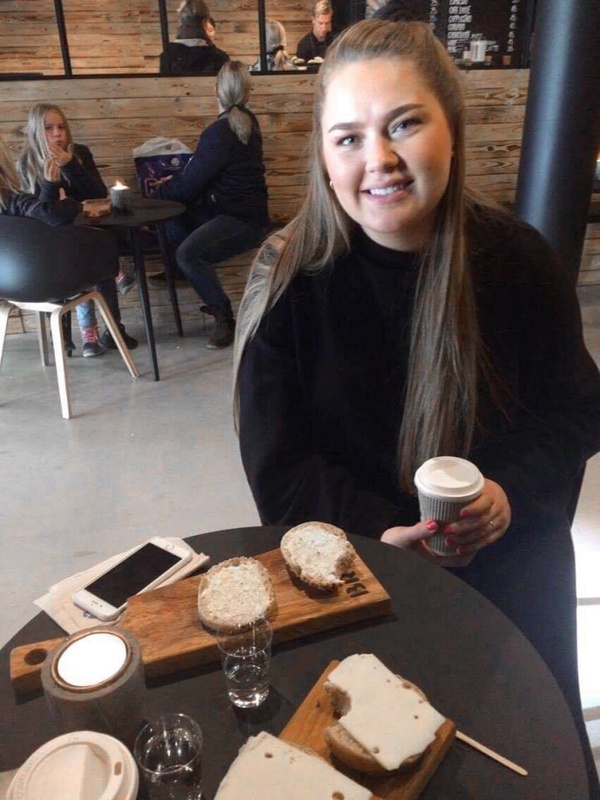 Prices are really good too (they even offer 20% student discount), coffee and tea is way cheaper here than at Starbucks or Baresso and on top of that they serve free water and milk! All in all just a super chilled, cozy experience - highly recommend!